If outstanding food and palate-pleasing craft beer is what you’re looking for, hightail it over to Downtown Bryan. 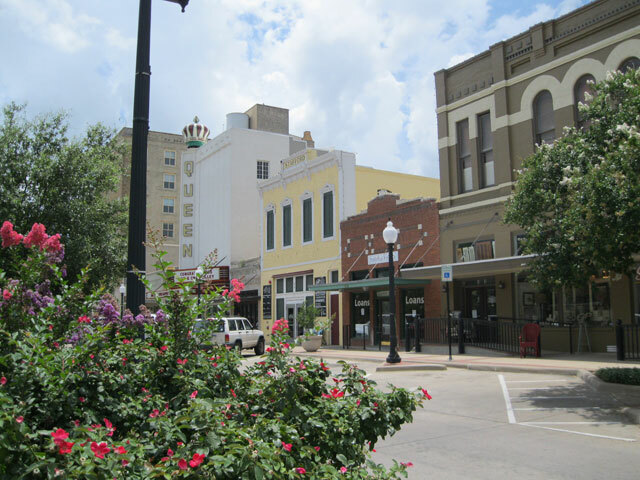 A Texas Cultural District, Downtown Bryan is full of one-of-a-kind restaurants and bars serving up a wide array of local flavors. Whether you’re in the mood for a slice of piping-hot pizza, cheesy enchiladas, or a pint of an American IPA, you’ll find it all here. Read on to see just a few of the many places to eat and drink in Downtown Bryan. Oh-so-flavorful enchiladas, crunchy tacos, and steamy fajitas are all on the menu at Casa Rodriguez, a local favorite for delicious Mexican food. Along with its south of the border staples, the restaurant serves seafood and American-style dishes, breakfast, and a variety of gluten-free options. If you’re craving something sweet, find your way to the Chocolate Gallery. Downtown Bryan’s top spot for delectable desserts, it offers a mouthwatering range of chocolates (including licensed Texas A&M treats), cakes, and other goodies made on site. Come for the confections and stay for one of the Chocolate Gallery’s cake or cookie decorating classes. Must Be Heaven offers plenty of old-fashioned charm to go along with its menu of straightforward American favorites. Order up a salad or a hot sandwich and follow it up with an ice cream float, savory fudge walnut brownie, or a slice of pecan, buttermilk, chocolate or coconut meringue, or Dutch apple pie. For some straightforward, but exquisite, eats, look no further than The Proudest Monkey. With a menu full of creative burgers and tacos, as well as a lengthy beer selection and an inventive array of mixed drinks, it has everything you need for a casual lunch or dinner. Get a true taste of this part of the Lone Star State at The Village Cafe, which sources its ingredients from the Brazos Valley and across Texas. Featuring all-day breakfast, creative sandwiches, a wide selection of coffee and beer, and a dinner menu featuring pizzas and hearty entrees (including vegetarian options), it has something for everyone. In addition to being a showcase of local flavor, The Village Cafe displays works by area artists and hosts live music every week. Looking to try some locally brewed craft beer? Visit Blackwater Draw Brewing Co., a purveyor of such fine brews as a Mexican lager, American IPA, and a coffee porter. Fill your pint glass and settle into a spot in the taproom, where you can find live music every Saturday. Inspired by ancient Bavarian tradition, the B-CS Zoigl Brewery is a beer lover’s co-op where member brewers from the area ferment their brews. This Downtown Bryan beer garden always has something new on tap, so no two visits are the same. Located in the first floor of the La Salle Hotel, the Downtown Elixir & Spirits Company is an upscale restaurant serving Cajun food and delicious cocktails. With a speakeasy-style ambience, this restaurant serves one of the most unique dining experiences in Downtown Bryan. With the charm of an Irish pub, delightful Bavarian cuisine, and beers from Texas and around the world on tap, it’s no wonder Murphy’s Law is a popular hangout in Downtown Bryan. Kick back in an open-air patio and listen to a jazz, funk, country, or reggae band play at Revolution Cafe & Bar. Serving specialty coffees, beer, and cocktails, the bar offers a Bohemian-style getaway in the heart of Downtown Bryan.